I used to feel jealous of people who talk about their passion. May it be passion for dancing, motorbike, stock trading or baking – these people talk about their passion with fire! You can sense that they really love their activities by the way their eyes lit up when the subject matter comes up. They can talk non-stop and will explain everything to you with big smiles on their faces. I have a former boss who dances tango, and she’s passionate about it. She says dancing makes her alive and young. It gives her great joy whenever she’s on the dance floor. Just before I left the organization, she started training for diving. She’s more than 60 years old. That time I was thinking, how come I don’t have any passion? Yes, I love traveling but I consider myself more of a tourist than a traveller. I love cooking but only if I have time and I feel like it. I want to try the guitar but I can’t even strum to save my life. So you know, I like to try a number of things but I’m not really passionate about any of them. Until in 2016 when I started blogging. At first, it was a way for me to dump my thoughts into writing. I need a diversion because depression was slowly creeping in. There’s this desire to be a stay-at-home mom but I also don’t want to just stay at home. I actually don’t know what I want. So blogging became an escape. Honestly, I thought blogging would just be a pastime. I know myself. I get so excited about things and will take great heights to accomplish it. Once I start to see result, I lose interest. Surprisingly though even to myself, after more than 2 years, I’m still into it. And more than just blogging, my interests evolved. I’m not just anymore writing about mommy life or lifestyle. I want to focus more on positivity, business and wealth. Even before when I was writing for Filipina Expat, my intention is to share knowledge and information; and more so to spread positivity. That looking at the positive side of things is way better than figuring out what is missing or went wrong. It’s always being thankful for the glass half full than it’s being half empty. And being positive is not only feeling it when everything is going as planned. You have to practice it more when things go downhill. You know, I wasn’t born knowing that this is what I ought to do. It’s also not like I woke up one day and received a ‘sign’. As I said, blogging for me just started because of depression. I had an idea that blogging is easy (or so I thought) and so I bought a domain, learned to install WordPress and plugins and write. Write, write, and write. Now I know that this is something I want to do for the rest of my life. And as I said earlier, I evolved. I pushed myself to step out of my comfort zone and ventured into things that felt so awkward at first but became easier now. The things I’m able to accomplish because of a simple desire to write my thoughts is way beyond I thought I’m capable of. And interestingly, I haven’t realized what I really want until I was in my mid-30s. You wouldn’t know what’s interesting unless you try it. In finding your passion, you just have to try different stuff. It can be crocheting, painting, singing or any sport of your choice. You can start your own business and see if you will enjoy it. Just try something. But I know it’s easier said than done. With our busy lives, we never really pause to think of what we really want. We’re so busy making a living that we forget to live. We wake up at dawn and just dive into our everyday life without stopping until when it’s time to sleep. We repeat this everyday and just consider it as a part of life. But can you spare 1 hour of your time each day to try something new? Something that really interests you and always wanted to do. I don’t think sparing 7 hours in a 42-hour/week will affect your life negatively. This week, I want you to try something different. Do an activity that you always wish to accomplish but always find a reason to delay. Just do it. And see how you’ll feel after. Will it be a blast or just a meh? You’ll never know unless you try, right? But wait, what if nothing interests you? Are we then doomed? There was a time that the only thing that interests me was watching Oprah reruns. I can watch TV the whole day or read hundreds of books and blogs in one sitting and I will be perfectly fine. Some may call it laziness but can I consider it as passion? 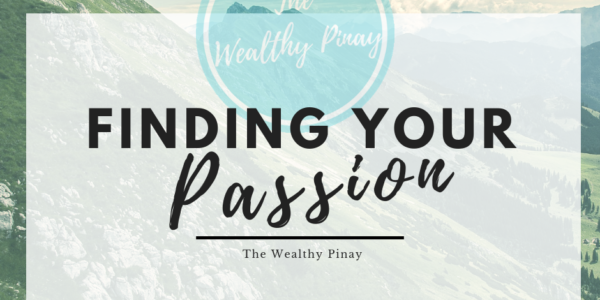 How do you know if you found your true passion? First, I guess the activity gives you a great joy. It doesn’t feel like a task to just complete and get over with. It keeps you want to do it even when no one expects you to accomplish it. You might get a monetary incentive for what you are passionately doing or not. The important thing is it makes you happy and excited. Next, You have an ability (or call it a talent) to do your ‘thing’. Doing it just runs naturally to you. You don’t feel like you’re good at it but wonder how come others can’t do it. It’s a sign you are into something. Lastly, you research the subject of your interest and dive into its history. No one tells you to stay up all night but your mind is buzzing and won’t shut down. You want to know more about it and you are on the verge of being obsessed. I therefore conclude that my binge watching can’t be considered as passion. Yes, I feel good and I wonder how anyone cannot stay glued on TV the whole day considering it’s the most relaxing thing (I think it’s my talent although I experienced occasional headaches) but this activity doesn’t give me great joy. So for passionless people, may I ask you to take the Saturday-morning test. The Saturday-morning test is simple: if you were to wake up on a Saturday morning with no obligations, what would you spend your time doing? If you’ve found an activity that passes this test and that is “inseparable from your idea of relaxation,” then you might probably have found something interesting. Continue doing this activity for a week, if possible a month. You never know, your pursuit might let you experience the things I mentioned above. You then found your passion. And if you realized that you find great joy of taking care of kids or elderly, or you feel the happiest when giving advice to anyone who needs it, or just painting other people’s nails, don’t fret. Who says passion cannot be plain? Passion doesn’t need to be artistic, exotic or inspirational. Remember your teacher in highschool who talks excitedly about Noli Mi Tangere with hand gestures and deep voice that it makes you excited too. Passion doesn’t need to wow people. It just needs to satisfy you.